Looking a bit weird here. I guess due to some long zoom lens. Still, after seeing the S90 and V90, I am sure this will be pretty stylish. I am always surprised by how good the current model still looks. 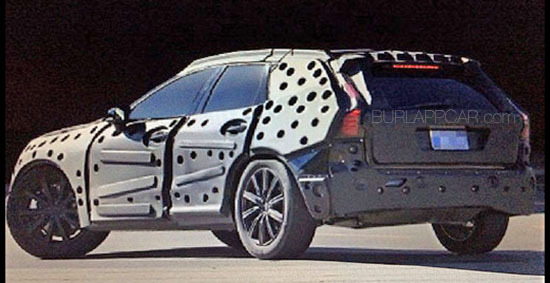 This looks to be a smaller, more stylish version of the "rather boring" XC90. looks a little to sleek... you sure this isn't the V60?